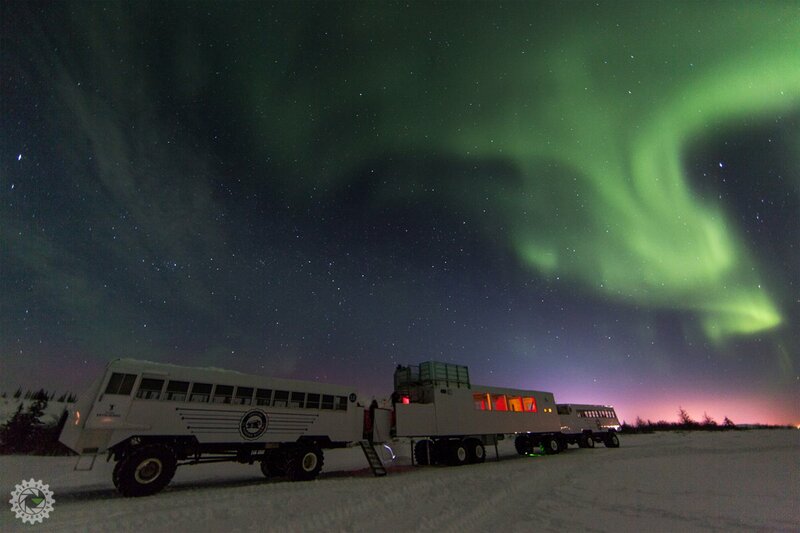 Experience the warmth and comfort of the Thanadelthur Lounge (formerly known as Aurora Lounge) during our northern lights adventures in February and March. 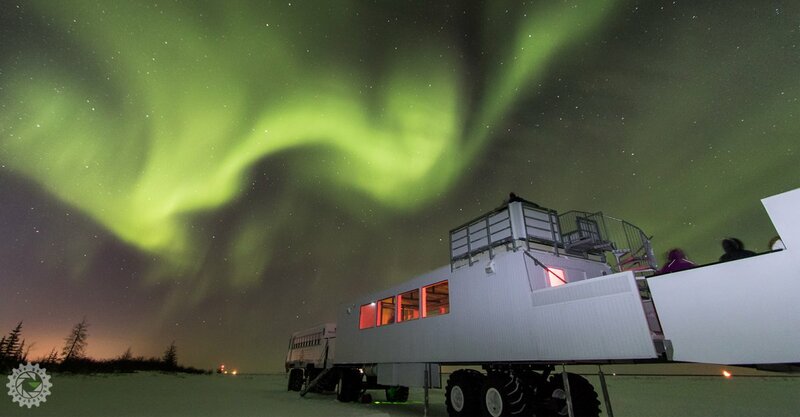 We are the only company that transports guests via Tundra Buggy across the frozen Churchill River to the Thanadelthur Lounge which is positioned away from the lights of town for northern lights viewing. 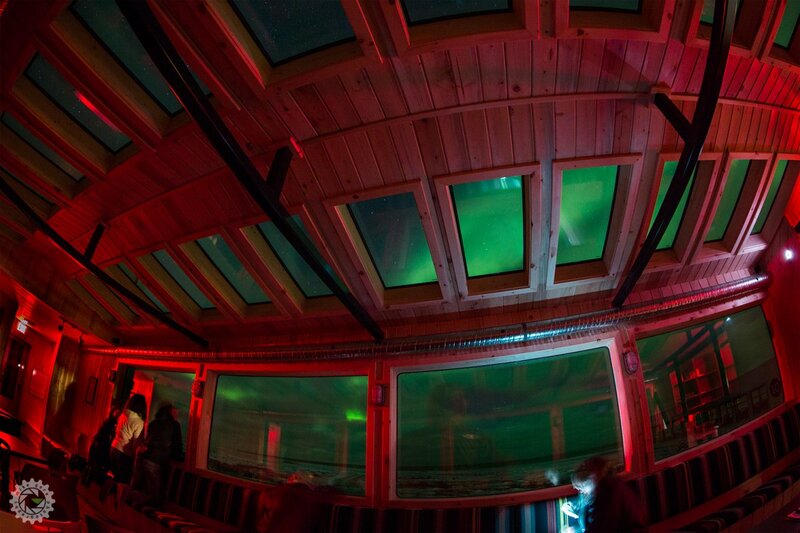 View the northern lights from inside the warm Thanadelthur Lounge by peering out through the panoramic windows while sipping on a warm cup of coffee, or climb onto the roof-top observation deck for an unobstructed view. 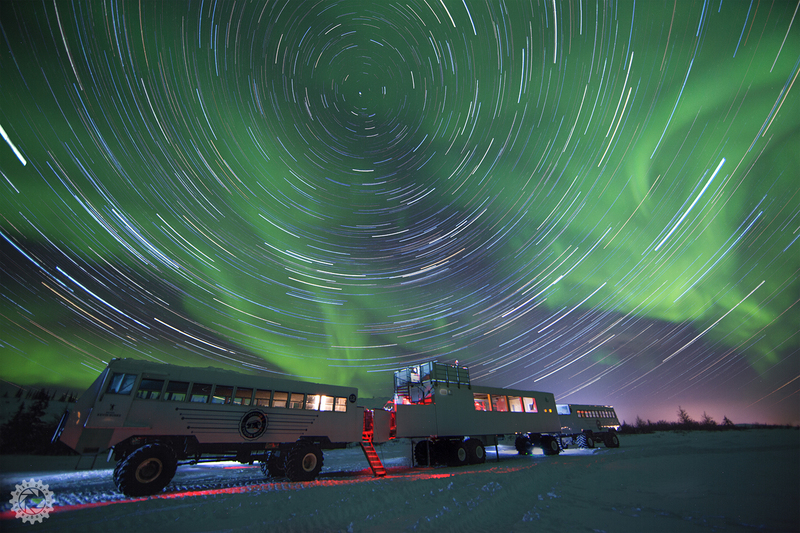 Or, for the warm-blooded, climb right down onto the ground to watch and photograph the northern lights directly from the tundra.